It has been a great weekend, weather and finds wise. Saturday was lovely sunny and warm and the ground was less sticky than thought. After calling in on the farmhouse and being offered warm coconut tarts (the 2 landowners turned up their noses so I got extra!) and admiring the new CAT tracked tractor, I headed out. There is an area of power harrowed on each field, a strip about the width of a road around the headlands, lovely and flat on the weathered plough. 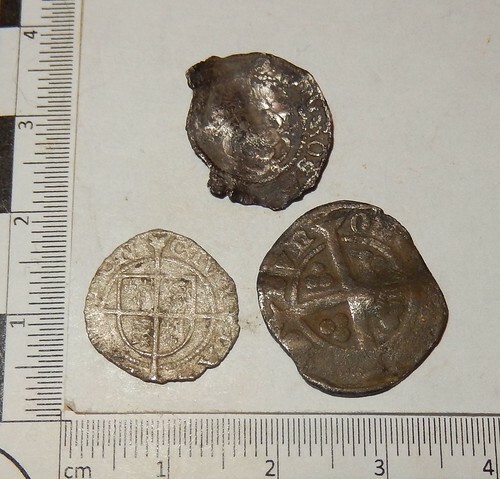 Out popped a pretty rough James I half groat (they all count) followed by my largest complete crotal bell. 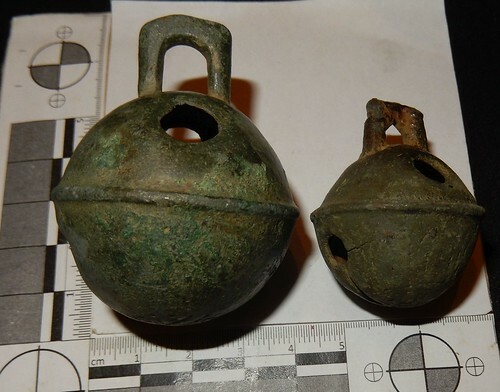 I have put a "standard" crotal bell beside it for comparison. Shame the pea is missing so it doesn't ring. James on the harrowed plough, about 3 inches down on Deus hot modified using the HF coil, about a 65 signal. Crotal, blew my ears off, same settings and depth. Sunday the weather was not quite as good but headed out to my favourite field which again had a strip around it as flat as can be considered perfect. 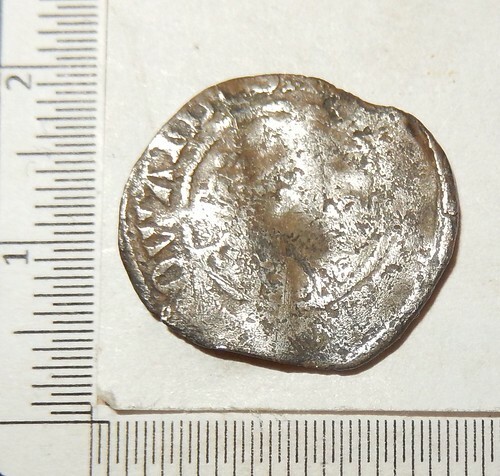 Not long in the penny popped out, looks to be Durham, probably Edward III? 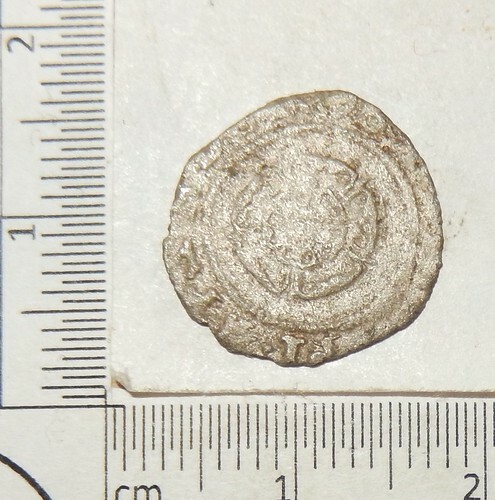 and only a few feet away, the Philip and Mary base penny was laying on the surface! It was still in the rough plough but a nice unusual find for this field. 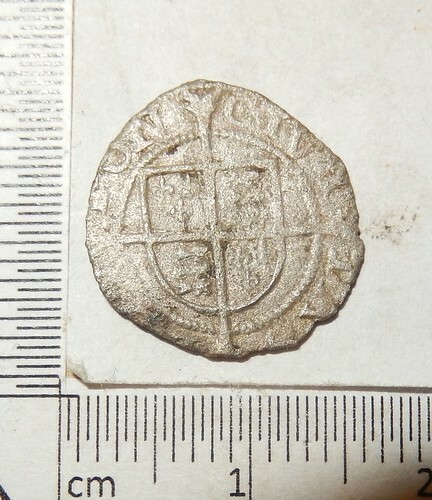 It has now turned up from Henry II to Philip and Mary but mainly Edward III. Deus modified HF. 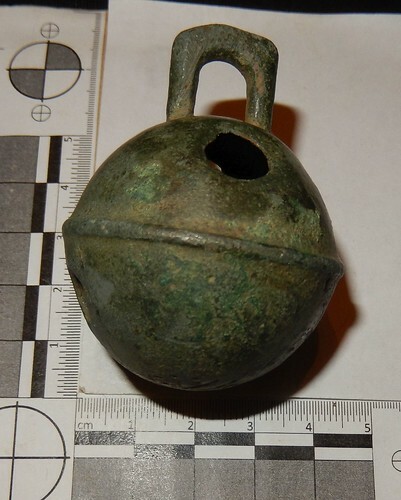 Hello 'f8met', Some good finds there and your giant Crotal Bell is a humdinger of a ringer! 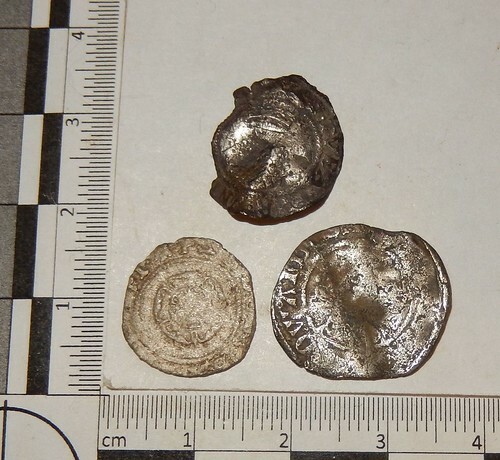 I don't think that I have ever seen a Phillip and Mary base penny. 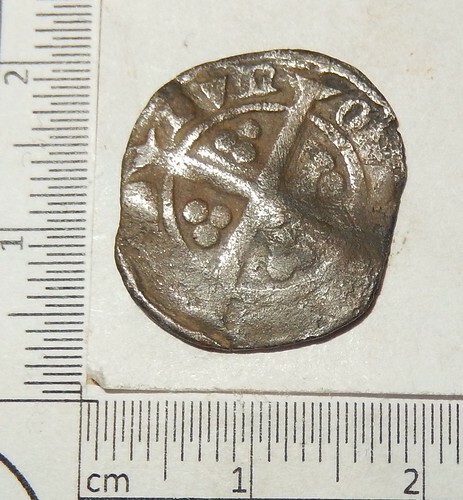 Probably quite a rare find.